Curious what we Can help you set-up? We utilize the Weebly website tools that are used by millions of people to promote and sell their products and services. 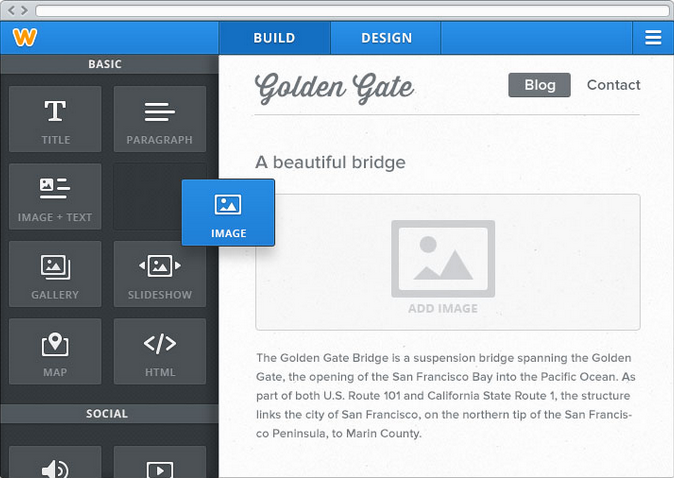 Weebly is a web-hosting service that allows the user to "drag-and-drop" while using their website builder. As of August 2012, Weebly hosts over 20 million sites with a monthly rate of over 1 million unique visitors. It was a privilege to work with Justin and O'Connell Design for our website. We appreciated the time Justin took to understand our organization's mission and message. The work was quick, yet thorough, and we were so impressed with even the first draft. The best part for our team is that Justin made the creation of the site very user friendly and included training for our team as part of his work. The site that was created is well organized and easy to understand, and we are now able to update our own site with new content. We highly recommend Justin and O'Connell Design for an individualized and user friendly approach to web design. We are thrilled we had the opportunity to work with him, and are so proud to show off our new site!